that this bike was his USA bike. 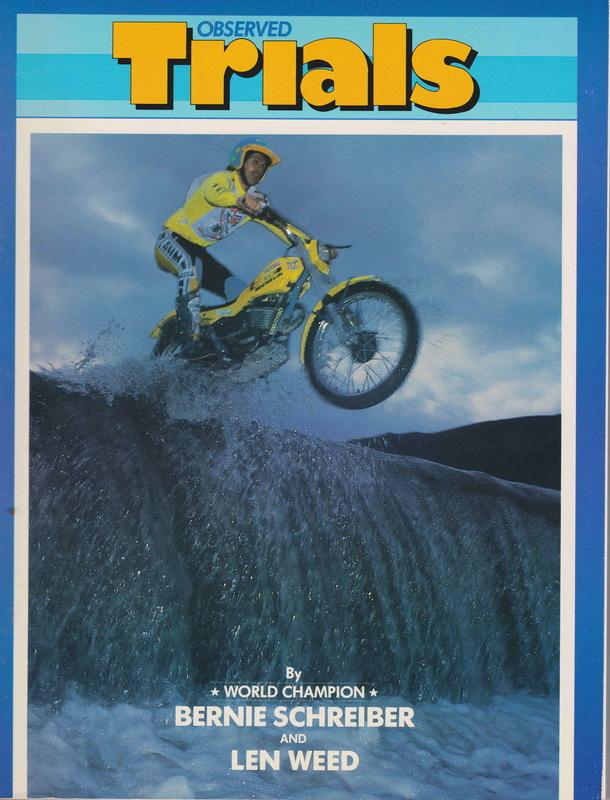 Bernie is America's only World observed Trials Champion in the history of the sport. 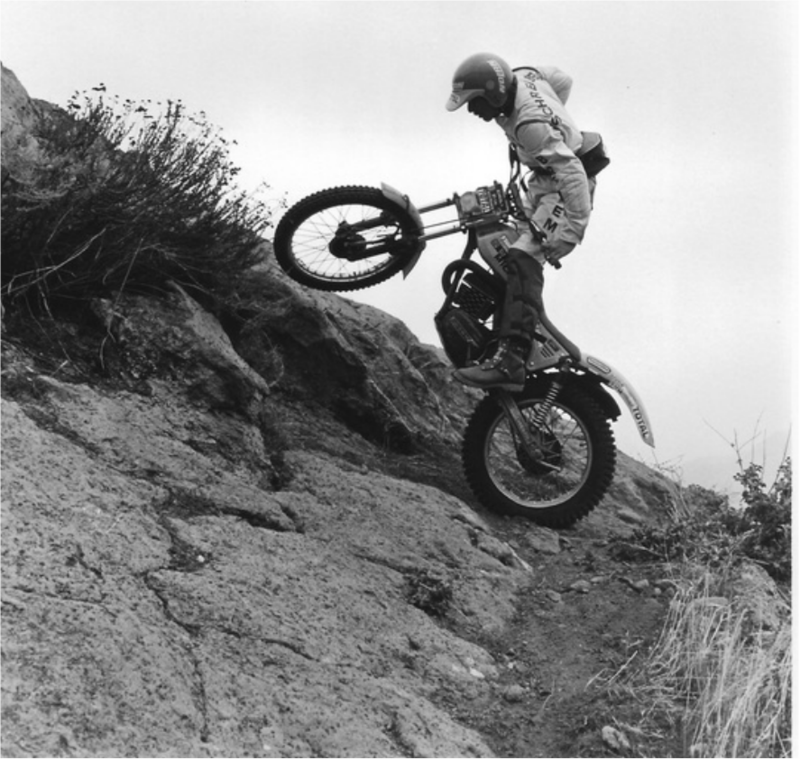 Out of the 109 World Trial competitions Bernie competed in he was placed on the podium 48 times with 20 seperate wins. Back in 1983 Bernie had a US bike that permanently lived at his home in California. 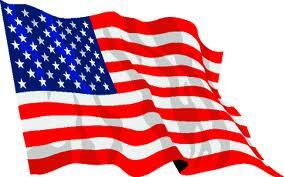 He used this for practising when he visited home and for competing in the US Wagner cup World Trial. In Europe he had another bike altogether. This saved a bundle on Shipping costs and made perfect sense , keeping him with a bike at all times. This was the model that preceeded the jumbo twinshock which itself started development in 1983. 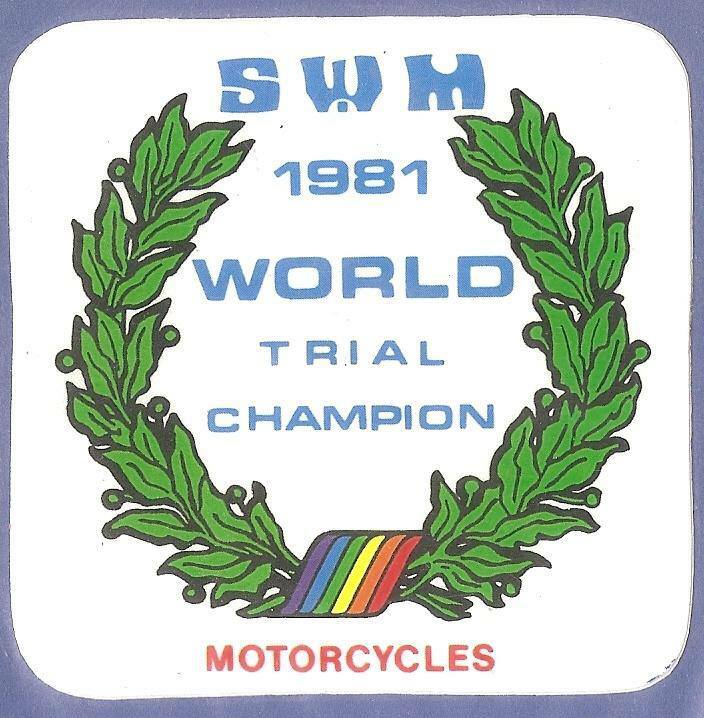 This report centres itself around Bernie's 1983 USA Bike and the the exact motorcycle that he used for the photos in his book "Observed Trials by World Champion Bernie Schreiber and Len Weed". Many of those photos were taken in the hills above Bernie's home. 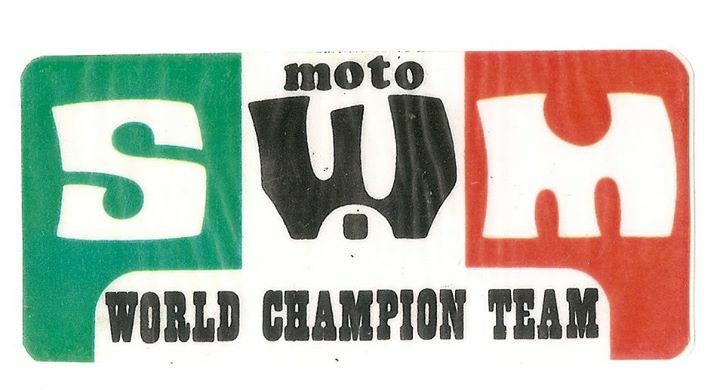 Back in October 2014 ,SWM main man Martin Mathews contacted me by phone and told me about a potentially very special bike that he had been offered . Although i had never spoken with Martin before , I could immediately sense the excitement in his voice . It was akin to a little lad talking about the scalextrix set he's seen under his mum and dads bed prior to Christmas .....and just hoping it would be for him :). As you may know Martin is SUPEP.... HYPER....enthusiasts and font of all knowledge in the World of SWM.....and this has for many years now transcended into his working life. From years in Surrey on the telephone selling houses , he escaped the rat race to the rolling hills of the West country where his new life began. Now...many of us are enthusiasts .....but Martin has taken this one stage further . 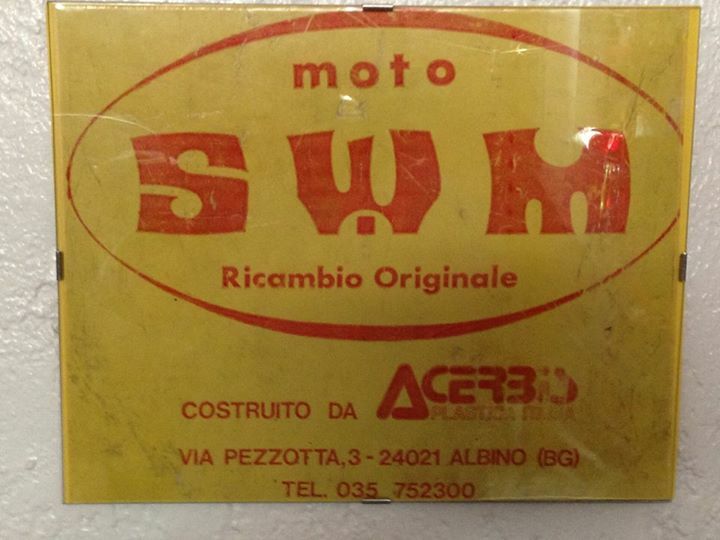 He now restores SWM's full time and sells original parts as well as re manufacturing more. 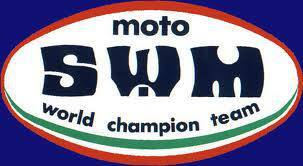 He is now the main source of SWM parts in the World and also the number 1 source of SWM information. Martin's website is www.motoswm.com. Soooo , when Martin gets excited about a SWM , you can be rest assured that he's onto something serious , because he knows his stuff. Martin told me that he had been contacted via his Facebook page by a lady called Cathy Stramat from California. She messaged Martin to say that her husband Mike had an SWM that previously belonged to Bernie Schreiber . Martin was calling me to help untangle the puzzle and find out if this really was the case . In short he wanted me to ask Bernie if this had been his motorcycle . I was only to pleased to help . These were the 2 photos that Martin was send over from California . So ...can you work it out ? 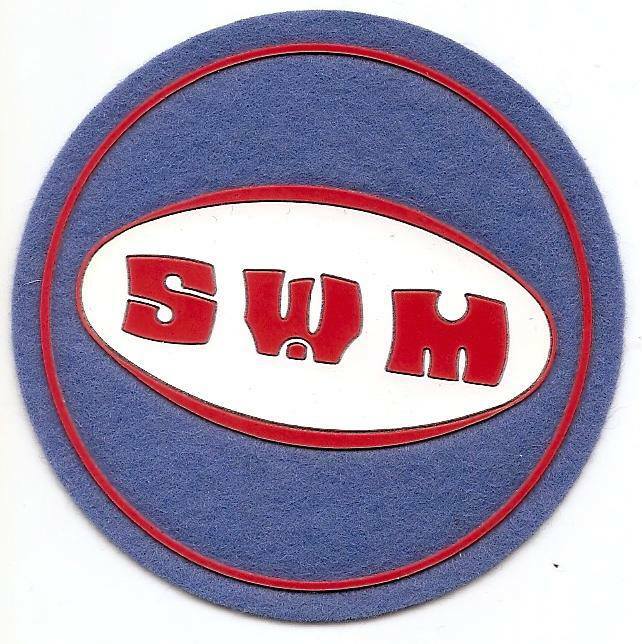 ............ is this Bernie's SWm .....or not ? I interviewed Bernie Schreiber for Retrotrials.com in 2014 in Switzerland. Bernie is a great guy who is very switched on. His memory was very good when i met him as you would expect ...but we have to remember he is 56 years of age now and he was riding the yellow machine in his early 20's . Thats a hell of a long time to remember the finer details of a motorcycle and be able to identify it !!. I'm sure you would agree. 1 - So perhaps Martin was onto something.....but maybe he wasnt. Would he ever be able to prove it ? 2 - Did he really want to dig deep and buy this bike on the far side of the USA and then pay for it to be shipped to the United Kingdom....when perhaps it was just a normal production bike ? Of course he didnt. This is when Martin started doing so comparisons.......and as you will see the picture becomes clearer. So i emailed Bernie with these 2 photos attached. Bernie replied saying that he didnt recognise the name of the seller and that nothing rang a bell with him . 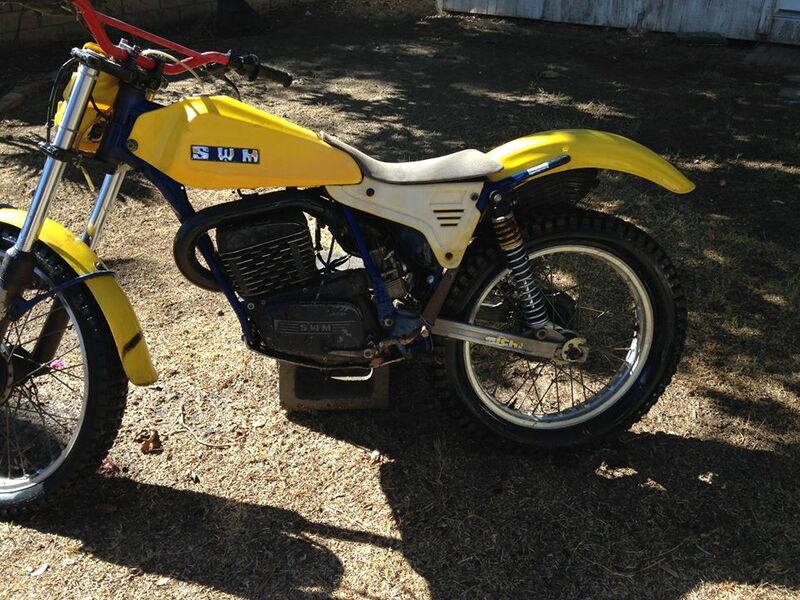 He thought the bike looked in bad shape and he gave some advice on the price that should be paid for it.He said " I do believe that the frame (marked red) was the only sign of a factory and maybe the swing arm." So i let Martin know the bad news......but Martin wasnt beaten and came back with some hard factual comparisons which i sent to Bernie. Sorry that I can’t remember Cathy or Mike, but this year alone, I collected 400 new business cards….time flies. That looks like me on my bike and the notes sound correct. 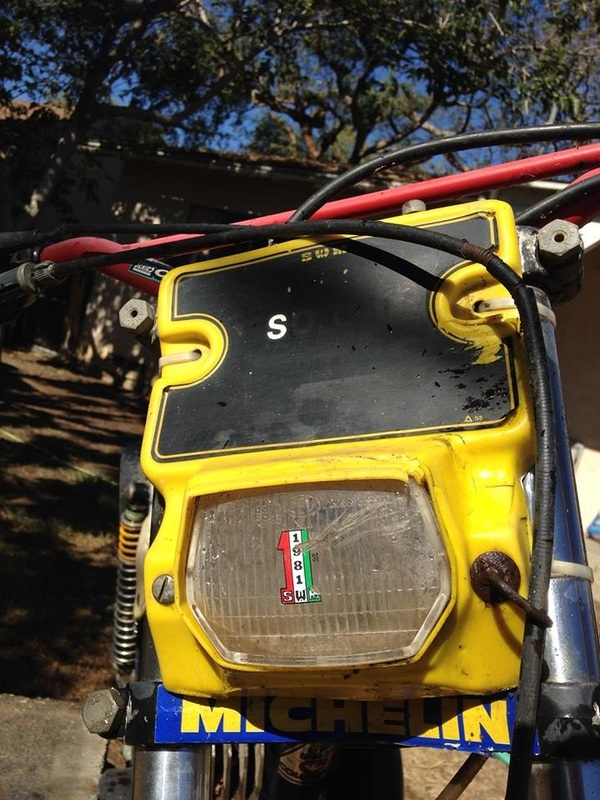 I noticed the bike had gold handlebars in the picture, which were designed by me and produced by Answer Products, but the other photo you sent has red ones…..so the guy must have crashed a few times. There was the slightest glimmer of hope . So i went back to Martin and told him the news from Bernie. I suggested to Martin that he produce a full report on the bike showing exact comparisons with Bernie's actual competition bike photos and the bike Martin had been offered. This way we would have the best chance of jogging Bernie's memory. The next page shows it all ! Its a great bit of investigative work.